When I start up 2.10 on Windows 10, it opens in full screen and Windows hassles me about the screen being blurry. This means I can't set it to windowed in-game. How do I open it in windowed, or 2.10.2 in windowed? I'm trying to play an old quest without incompatibility. Thanks. I also suggest running 2.10.2 as an XP or Vista programme. The proces is identical for win10, IIRC. Those settings seem to be viable on my Win10 experimental system. 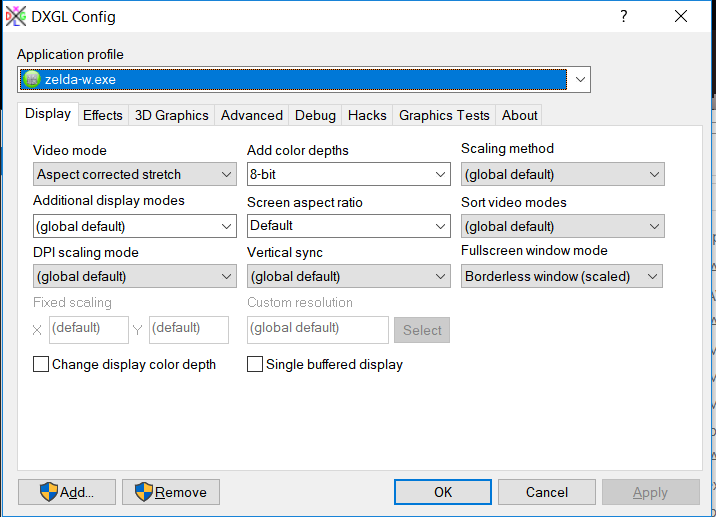 Be aware that it will be graphically distorted, even with these settings, without DXGL. 2.10.x is no longer supported; nor needed. 2.10.x quests should work on 2.53b15 without issues. 1.92 quests that have issues on 2.53 will likely have more issues using 2.10. 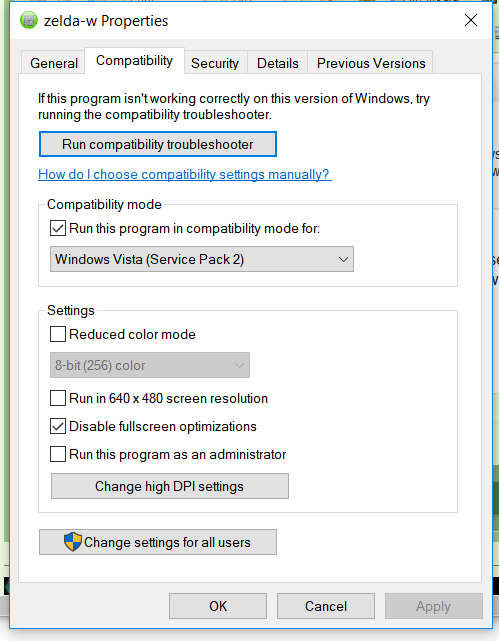 I do not see a config setting for Windowed mode in 2.10, looking at the old source files.